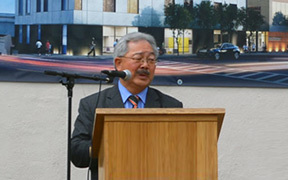 Mayor Edwin M. Lee today announced a $411.3 million proposed two-year capital budget to invest in San Francisco’s future. This record investment continues Mayor Lee’s strong commitment to improving San Francisco’s infrastructure and continuing to follow the good government recommendations of the Capital Planning Committee. The investments included in the proposal will make the City more resilient, safer, and more livable. It addresses critical public safety projects, makes big investments to address growth, and takes care of existing infrastructure.